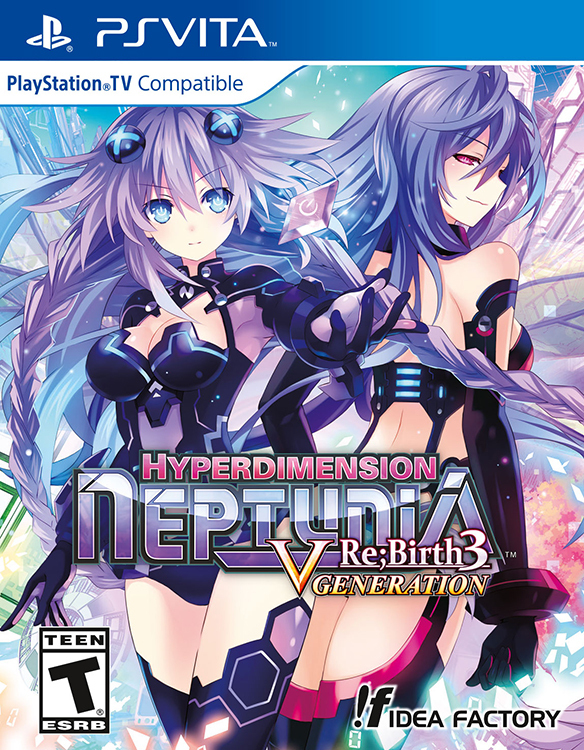 The third installment of the Hyperdimension Neptunia Re;Birth series is finally here, Hyperdimension Neptunia Re;Birth3: V Generation. This entry is a remake of Hyperdimension Neptunia Victory that released on the PS3 a few years ago. Like the rest of the Re;Birth series, there have been numerous changes and upgrades. You can check out my review of the Hyperdimension Neptunia V for information on the original release. Now let’s see if this is worth your hard earned money, shall we? The story takes place in Gameindustri of the past as Neptune is teleported to another dimension. Here, she runs into some familiar faces and one new one: the goddess of Planeptune, Plutia. She’s a sweet girl when not transformed, but transformed she becomes a powerful sadist called Iris Heart. She’s a bit over the top but a wonderful friend and ally. 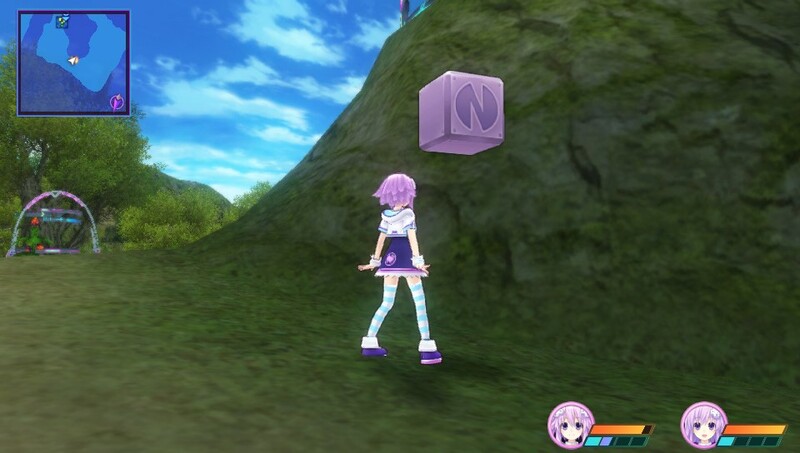 Here Neptune must re-acquire her lost CPU powers and find a way back home. The main story is pretty much unchanged from Hyperdimension Neptunia Victory, however it has received a new translation, which I personally think is much better. I always loved this story. I refer to this series as gaming history told in satire quite often. The new story sections only add to the experience, making what was already great even greater. 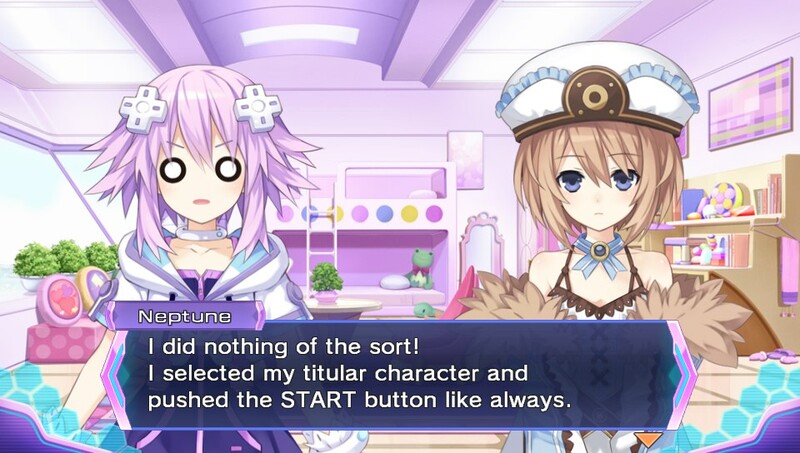 Neptune’s 4th wall breaking has never been better or funnier than it is right here. The graphics still looks great, just like in the previous two entries. The dungeons themselves, however, appear to look a bit better. The character models are still wonderful, and everything runs at a decent framerate. This is a big improvement over Neptunia Victory on the PS3. It had some major slowdowns when EX Special Moves were being performed. If you have played the previous entries, you will recognize most of the music tracks immediately. There are a few new tracks added in here to spice things up and even a plan to change the music during battle and on the world map screen. The dub is great as always, but there isn’t anymore dubbed here than usual, sadly. I couldn’t check out the Japanese dub at the time of this review because it is free DLC that will be out sometime after the game is launched. The plan system is back and bigger than ever. Yes, there are a ton of plans this time around. Much like in the previous games, the plans unlock dungeons, change dungeons, weapons, armor, costumes and so forth. What is new here is that each character has plans. I know, seems strange doesn’t it? 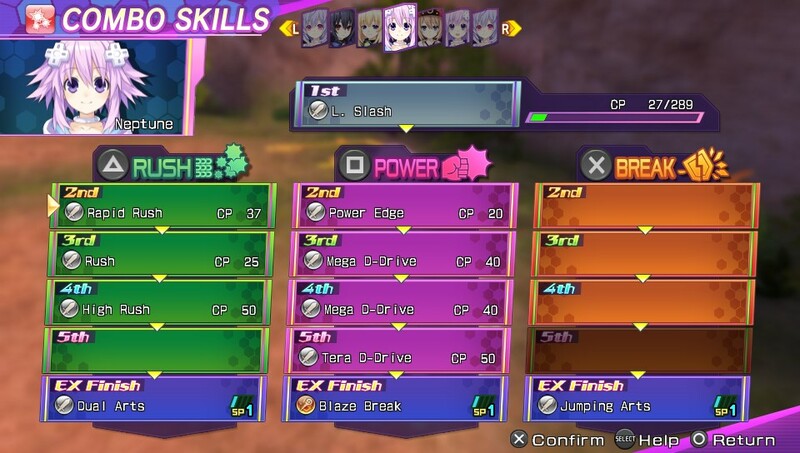 If you played Neptunia V on the PS3 you will remember the game had in-game achievements; these included things like jumping a lot with the lead character, how far the lead character walked, damage taken, victory spotlights and other things. Just like before, these will give you stat bonuses as you complete them, however they will also unlock plans to upgrade the gals this time around. These plans will include additional attack slots, leader skills and a peeping upgrade. Yea, you will have to work for your upskirts now. I felt this was a mixed bag. It was kinda fun switching the girls around to unlock the plans, but it makes it more tedious in getting things that were a given in previous games. There is one other slight change to note, which is that you will no longer search the field for items by pressing the square button. Instead there are hidden blocks–yep just like in Mario–that will give you some credits and items hidden on each map. You will need to look closely to see them and there is usually more than one. Combat has been slightly revamped for this entry as well. The EXE Gauge is gone, now instead you will perform combo finishers and EX Special Moves based on the amount of SP you have. Here’s the catch: your SP doesn’t fill up when you leave a dungeon or level up like it used to. Instead it will as you get attacked by and attack your enemy. This works better because not only do these fill up much faster, you can have each character do an EX Special move on a single boss since they each have their own SP instead of sharing one gauge. The additional combo attacks I mentioned before help these fill up much faster as well, and this makes combat feel faster paced and more fun than before. If you played Neptunia Victory, you remember how tedious the scouting system was. Thankfully, that has been replaced by the much-improved Stella’s Dungeon. I know that was not a shining spot in Re;Birth2, but much faster travel times and the fact you actually get useful materials this time around, make this very useful now. You will not only get various plans and materials, but Stella will also be accompanied by scouts. The scouts will find the various hidden landmarks like in the PS3 version, and just like before you get some useful items as a reward. This is so improved that it offsets the crazy amount of plans to an extent, since Stella will find you a lot of the materials you will need for them instead of you grinding them yourself. Since Hyperdimension Neptunia Victory was my favorite of the original PlayStation 3 trilogy, I found a lot to love here. The better translation and improved combat were very welcome additions. I think they went overboard with the plans this time, but they improved Stella’s Dungeon and it made the grinding feel a bit more rewarding which pretty much made up for that. Though I’m sure some people will still find this a bit too much, if you’re a fan of the series this is a must-have title. For everyone else you will want to check out the previous two games before jumping into this one, and since both of those games are great as well you would be spending a lot of quality time with your Vita. The game will run you $39.99 and is PlayStation TV compatible.